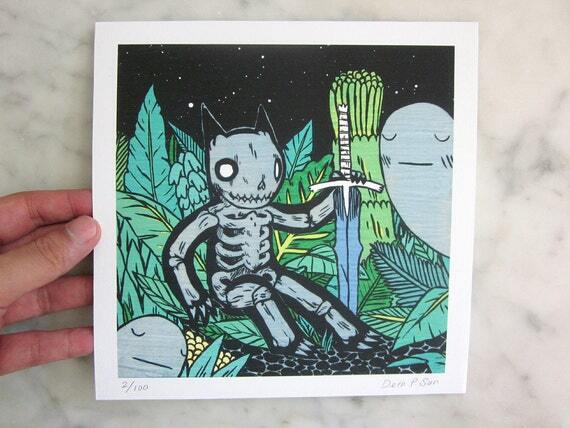 This week’s pick of the week is illustrator Deth P. Sun from Berkeley, California. 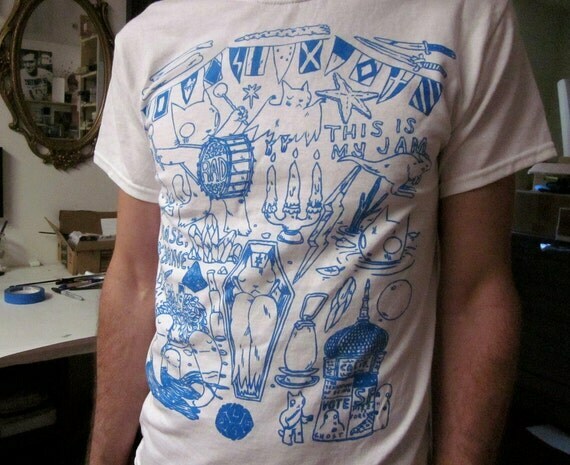 His shop features a lot of various items using his drawings like prints, bags, t-shirts and more. My favourite items are the square stickers that feature a cat character who is heavily featured in Sun’s work. I am obsessed with his character and find the adventures he goes on very charming. I picked up from his store almost all of his stickers as well as “They Come at Night” and “Various Drawings 2012” zines. I love the zines and since they’ve arrived I’ve been through them again and again. 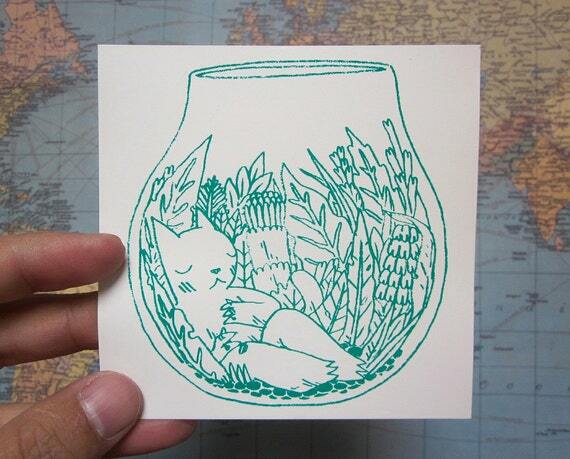 His illustrations have a very familiar feel but at the same time are distinct. I cannot help but want to know more about his cat and what adventures he may find himself in next. It also occurred to me that both of these zines are large enough to easy become coloring books (great for kids or big kids like myself who color while bored at work). I honestly love these and cannot wait to pick up more of his work. I’m thinking about a t-shirt for Victor as they are really awesome and maybe a print for my art wall. 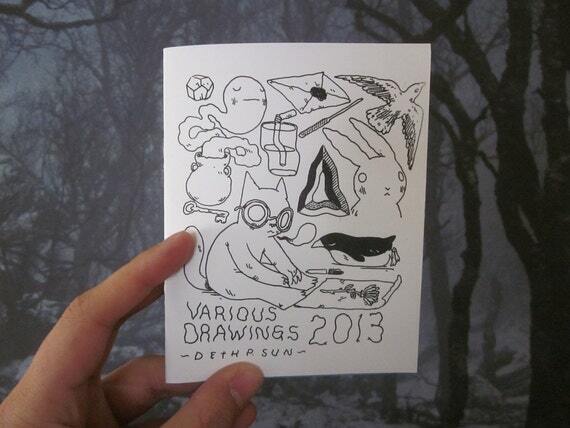 If you want to find out more about Deth P. Sun, check out his blog!